Top-down / bottom-up The ultimate in versatility, Top-Down/Bottom-Up Duette® Shades from Luxaflex® offer you the ability to operate shades from the top down, the bottom up, or in combination of the two. Quite literally the best of both worlds—natural light and privacy all in one. Tilt & turn window Our Side-Guided option fixes your Duette® Shade onto the window frame, holding it in place and eliminating any light leakage along the outside edges. 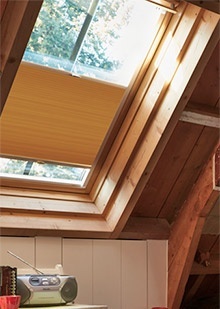 Sloping roof windows Duette® Shades are particularly suited to cover sloped windows and conservatories. Easiest and safest way to operate Eliminate pull cords altogether with the unique LiteRise® system. 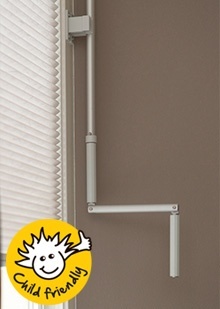 This cordless push up, pull down system raises and lowers the product with the touch of a finger. LiteRise® helps reduce potential hazards, while also offering more user comfort and a streamlined appearance. 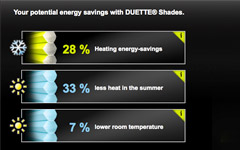 Free hanging Standard Duette® Shades are available in three fabric opacities, for precise light control and privacy. There are no visible lift cords for a clean, dressed look. 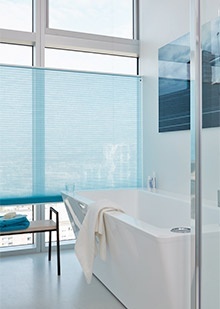 Choose from a wide variety of semi-opaque and opaque fabrics, as well as hundreds of colours. 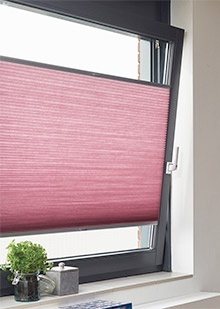 Day and night Duette® Shades are available in a unique Two In One setup which allows you to combine two contrasting Duette® fabrics or even a Duette® with a Plissé fabric. Two different transparencies in one window with endless possibilities when it comes to your own, personal approach to colour co-ordination. Revolutionary cord operating system SmartCord® is a revolutionary and patented cord lifting system. 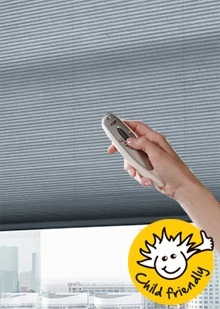 It features a retractable pull cord that maintains a constant length, and allows the user to effortlessly raise and lower the shade. 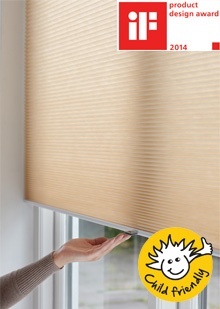 The SmartCord® system will automatically lower the blind to the preferred position after one simple pull of the cord. 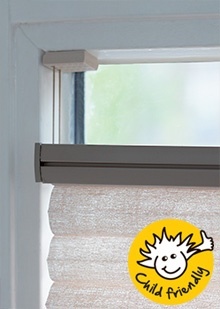 At Newblinds cheltenham we consider Child Safety a top priority. Making products safer for homes with infants and young children is an integral part of our design philosophy.